This split release on the Greek label Somehow Ecstatic record label has two tracks by Yellow6 and 5 tracks by Egsun. The record label prides itself on releasing music they love and with special handmade packaging and also limit the numbers of CD’s produced. For this release it is 300. 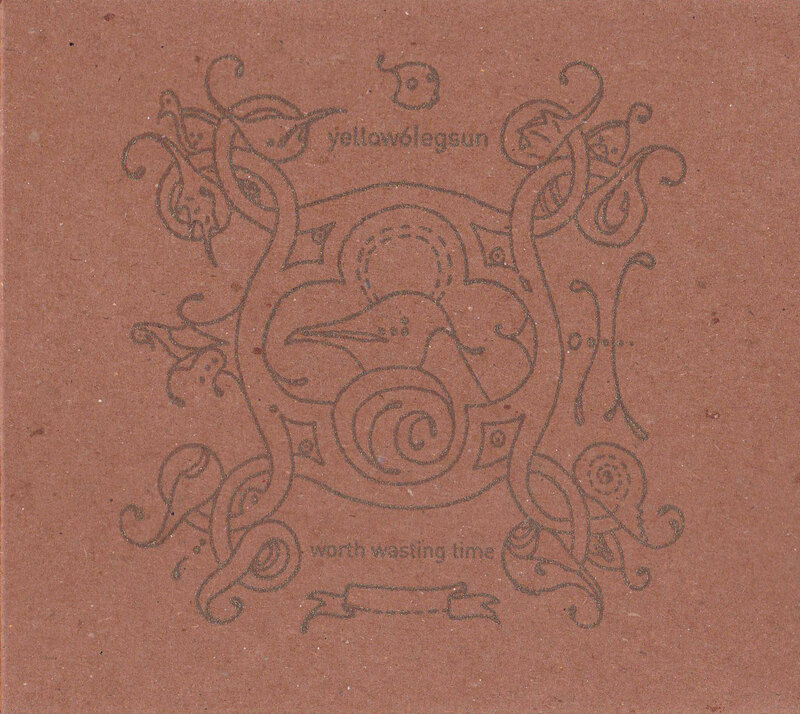 The first two tracks of the split feature Yellow6 who has been on this label before, in fact it was on their previous release by Masturbation Goes Cloud as Yellow6 collaborated with them on the last track. But he is flying solo on these two tracks, titled Concorde and The Start Of Our Decline. The first track is classic Yellow6 while the second track brings in more instruments like keys and some percussion which I think gives the music more depth and a different feel to it. He has used other instruments in previous work. The track The Start Of Our Decline is as good as any Yellow6 track that I have heard. Egsun, who is the bass player from the band Masturbation Goes Cloud contributes 5 tracks to this split. It is a really nice contrast to the music of Yellow6. The tracks mainly consist of cello or guitar over music box sounds which sound like they have been processed slightly. Looping, minimal sounds are the main ingredient of Egsun’s sounds and it is all done so beautifully. The mixture of stringed instruments with musical box/glockenspiel is always a great combination and Egsun doesn’t disappoint with these tracks. Somehow Ecstatic records haven’t release that many albums, but the albums that they have released have been high quality. Long may that continue with this excellent label. This entry was posted on January 31, 2012, 11:17 pm and is filed under Playlists. You can follow any responses to this entry through RSS 2.0. You can leave a response, or trackback from your own site.